Time to circle up for the next 6-month rotation of CUCC's informal dinner group! 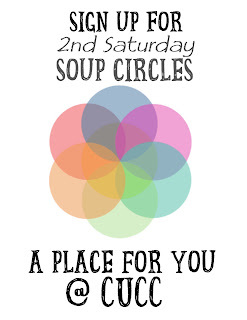 Sign up by Valentine’s Day and our new circles will be posted Sunday, Feb 17. Each circle will have about 10 adults. 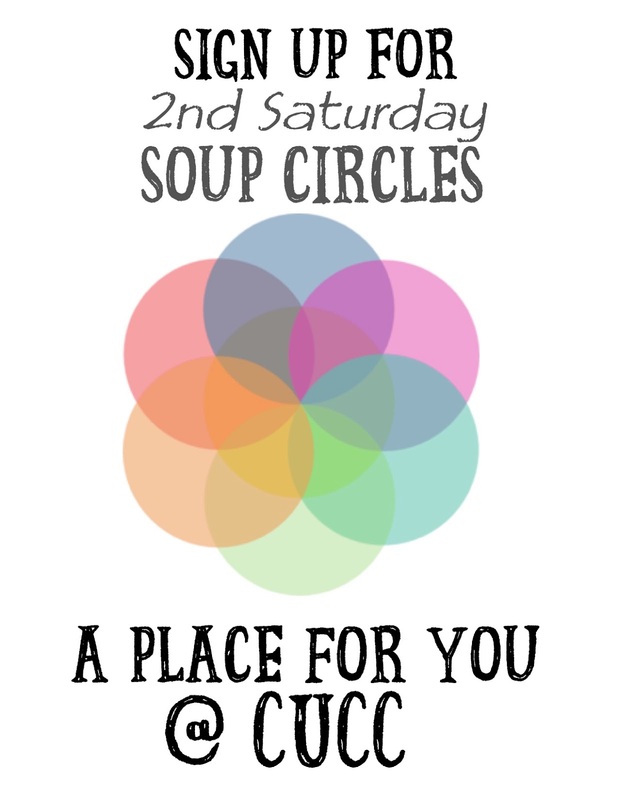 The recipe for successful Soup Circles is simply to give it a try! Great for new congregants as well as long-time friends. This rotation runs from March thru September. Here’s how it works: Rotate within your circle each month meeting at someone’s home on the 2nd Sat of the month for dinner. Soup or some such make-ahead anchor part of the meal should be provided by the host with perhaps a co-host from the group. Everyone else bring an appetizer, side dish or dessert. (Children’s participation and provision of drinks are at the discretion of the individual circle participants.) Remember that your group can decide to alter any part of the plans. It is not necessary that you meet each month, but to find 4 or 5 Saturdays that work for the greatest number. To sign up for the next round by Valentine’s Day, email Susan Atkinson at booatkinson@mac.com or sign up in the fellowship hall. Looking forward to supping over soup and hope you are too. Let’s get together, CUCC!